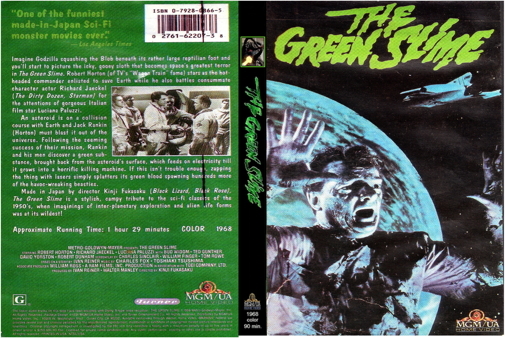 This science fiction drama finds astronauts plagued by a mysterious green slime that clings to the men's backs, then turns into tentacled, red-eyed creatures that kill their victims. Jack Rankin (Robert Horton) is sent to a space station commanded by Vince Elliot (Richard Jaeckel). The two have a personality clash but soon must set aside their differences to destroy an asteroid, believed to be the source of the rapidly multiplying slime. The object is obliterated, but the mysterious slime remains. This feature is believed to be the first to combine United States and Japanese productions for a film.